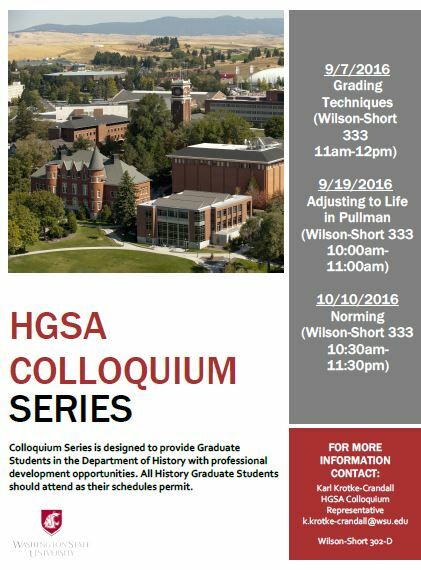 The History Graduate Student Association is busy this fall sponsoring informative colloquiums. The next event will be October 10. Read the flyer for contact information and previous months’ colloquiums.